The constant desire to improve the product is matched by the need to refine the research and development techniques. 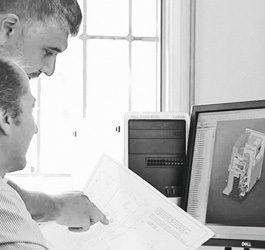 This is why Galletti’s in-house R&D Department (Research & Development) is a vital part of the company; it works in close cooperation with Production and Quality Control to guarantee a product that has been studied in the smallest detail and that is in line with the high standards that Galletti sets for itself. The company possesses a calorimetric chamber for the hydronic indoor units and a climatic chamber for the chillers, and it is one of the few companies in Italy to possess a reverberation chamber for measuring true sound levels. 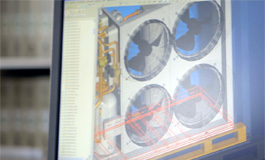 That which is developed, conceived, and analyzed in the R&D Department then takes shape in the Engineering Department, which handles the mechanical and electrical design of the hydronic indoor units, chillers, and heat pumps, as well as the complete development of software and hardware solutions. Unlike their competitors, this activity allows the company to make proposals to the market that are open to its customers’ requirements. The synergy between the various companies belonging to the Group allows a continuous exchange of information, increases expertise, and guarantees a more rapid development of the technologies Galletti can apply to its products. Galletti has always believed in exchanging information to create a model of expertise that is able to work in synergy for the benefit of quality and rapid innovation. More than half a century has passed, and the types of systems and how they are used have changed. Despite changes in the market and in consumer demands, Galletti remains one of the most important companies in the HRVAC sector. 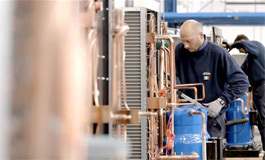 In fact, currently Galletti offers an extremely wide range of products: hydronic indoor units, chillers, and air-water and water-water heat pumps with complete recovery and adjustment and control systems combining technology, design, and extremely high reliability. Besides manufacturing the finished product, Galletti decided to invest in the verticalization of the production processes. 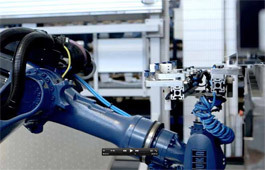 For working sheet metal, which has always been one of Galletti’s most important areas of expertise, the company committed itself to the development of an innovative automated production process: a state-of-the-art production unit comprises a system that includes an automated warehouse, a robot for bending small parts, a punching center, and a bending center. Galletti’s strategic decision to organize vertically does not translate simply into the in-house working of sheet metal, but also the production of heat exchangers and the development of adjustment hardware and software. 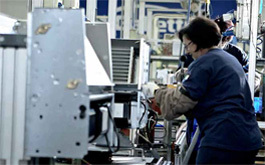 The approach of developing, designing, and producing in-house semi-finished products, components, and finished products strengthens Galletti’s ability to be flexible regarding its customers’ requirements and gives Galletti a large competitive advantage over the other players in the market.